Keith Harwood is a Lancastrian born and bred. He was born in Chorley in 1952 and educated at grammar school in Blackburn. He was a student at the universities of Hull and Liverpool where he gained a degree in Classics and a diploma in Archaeology respectively. Keith regards himself as an all-round angler and has fished since the age of seven when his grandmother bought him his first rod and reel. His angling apprenticeship was served on local mill lodges and farmers' ponds. Nowadays, he fishes chiefly for trout and grayling on his local rivers: the Ribble, Hodder, Aire and Wharfe, with occasional forays after salmon, barbel and pike. His fishing has also taken him further afield - to Canada, Alaska and Norway. When he is not fishing he likes to dress flies, especially classic salmon flies, and he is an angling bibliophile with a large library of angling books. Keith is an author of several books and a regular contributor to Waterlog magazine and to other angling journals both at home and abroad. He is particularly interested in the history of angling and the influence of angling on artists and poets and their work. He is married with two grown-up children and four grandchildren and lives in the beautiful Ribble Valley. He has now retired from teaching Classics. Keith’s Medlar books include: The Hardy Book of the Salmon Fly, Tight Lines - The Story of Abu, Gear & Gadgets - about Hardy fishing tackle (written with David Stanley and Andrew Herd), Fish & Fishers of the Lake District, winner of the The Bill Rollinson Prize for Landscape and Tradition at the 2015 Lake District Book of the Year Awards, The Angler in Scotland, The History of the Float (2016) and John Buchan on Angling (2016). He also chose and edited the angling texts for Colin See-Paynton's Air & Water, 2006. 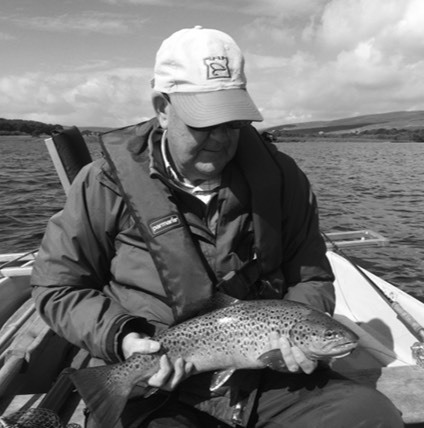 A new edition of The Float was recently published and Keith’s new book - John Buchan on Angling is due for publication in late 2016.